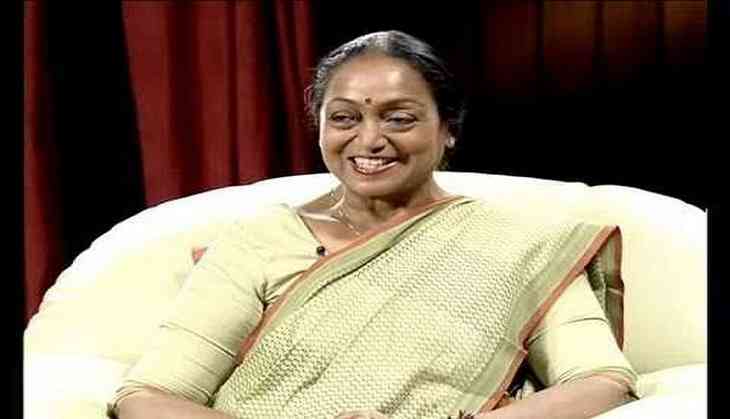 Former Lok Sabha speaker and Opposition's candidate for the upcoming Presidential elections, Meira Kumar filed her first nomination paper on 28 June. Meira filed her nomination in the presence of Congress president Sonia Gandhi, former prime minister Manmohan Singh and other senior opposition leaders. Before filing her nomination papers, she reiterated that it is upsetting for her to see the that the bug of casteism is still feeding upon India, which otherwise wants to advance in all aspects. Congress vice-president Rahul Gandhi also took to Twitter to Meira, saying she represents the values that bind people together as a nation. "Against the ideology of divisiveness she represents the values that bind us as a nation&a ppl.Proud to have @meira_kumar Ji as our candidate (sic)," Rahul said. Meira visited the Rajghat prior to filing her nomination. Meanwhile, Union Minister M. Venkaiah Naidu filed the fourth set of nomination papers on behalf of NDA's presidential candidate Ramnath Kovind. The Presidential elections are set to take place on July 17 and counting will take place on July 24.